Time of Birth :- 10.10 A.M.
Time of Birth :- 14.39 P.M.
Jupiter will be transiting over Narendra Modi's Natal Venus and Saturn placed in the 11th House. The same transiting Jupiter will be aspecting his Natal retrograde Jupiter in 5th House (of NM) in his Natal Chart. It will be aspecting Natal Venus and Mercury in the 9th House (of Mark Zuckerberg - MZ) and also retrograde Jupiter in 5th House (of MZ) in their Natal Chart. 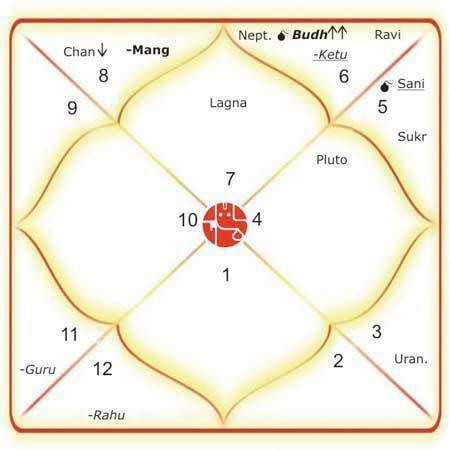 Rahu- Ketu will be in half return phase in the 12th and 6th House respectively in Narendra Modi's Natal Chart, Rahu will be transiting over Natal Sun and retrograde Mercury . Saturn will be transiting over the Natal Moon and Mars in the 2nd House (of NM). It will be transiting over the Natal Ketu in the 4th House (of MZ). Saturn will be aspecting Natal Venus and Saturn in the 11th House (of NM). It will be aspecting the Natal Sun and Rahu in the 10th House (of MZ) till January, 2017. Moon will be transiting over Narendra Modi's Natal Rahu in the 6th House, which will be aspecting his Sun, Mercury and Ketu in the 12th House. 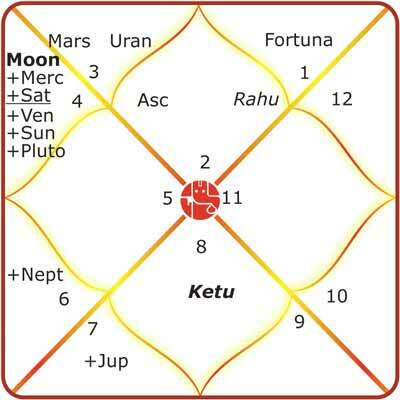 Mercury and Sun will be transiting over his Sun, Mercury and Ketu in 12th House. It will be aspecting his Natal Rahu. Mars will be transiting over his Natal Venus and Saturn in the 11th House, which will be aspecting his Moon and Mars in the 2nd House, Jupiter in the 5th House and Rahu in the 6th House of his Natal chart. Mars will be transiting over Mark Zuckerberg's Ketu in the 4th House of his chart. Narendra Modi is under the influence of Major period of Moon and sub period of Jupiter till 13th June, 2016. Mark Zuckerberg is under the influence of Major period of Mercury and the sub period of Ketu till 28th August, 2016. Considering the transiting planets and their influence on the Natal charts of Narendara Modi and Mark Zuckerberg, Ganesha feels that the meet will prove to be a memorable one and one-of-its-kind! It shall turn out to be a fruitful event and even the Q&A session will be getting a great response and acknowledgement. The youth and the techno-savvy people around the globe shall appreciate the event highly. It would result into greater bonding and enhanced ties between the two countries! In short Ganesha feels that the event would turn out to be a mutually enriching one for both the countries and that it would serve as a Launchpad for further technological development programs that may take place between the two countries. Since India is a developing country, Indians will have an advantage and benefit of acquiring latest technical as well as technological knowledge out of the meet which will be useful for the youngsters and even the general public for future progress. 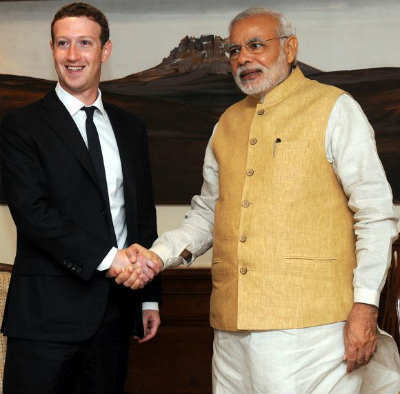 Both PM Modi and Zuckerberg happen to be men who have the wonderful ability to recognise genuine talent, so this meet may even result into a lot of people with great potential getting noticed and even getting employed by prominent tech-giants. Ganesha vehemently feels that this event would go down in history as one of the most phenomenal program. 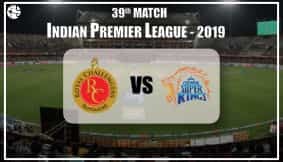 This gut feeling of Ganesha gets backed up by the fact that the transiting stars in the case of Narendra Modi are extremely favourable, so he shall be able to create maximum opportunities out of this meet. Time of Independence :- 00.00 A.M.
Saturn will be transiting over India’s Natal Ketu in the 7th House, which will be aspecting her Rahu in the Ascendant the Natal Chart of India till January, 2017. India is under the influence of major period of Moon and sub period of Moon till 10th July,2016. Considering the above planetary transits and the overall planetary influences in the Natal Charts, Ganesha feels that India is in for a very beautiful period currently as regards technology and communication. The Mahadasha or Major-period of Moon has also just begun for Moon and the Moon happens to be placed in the 3rd House of Information-Technology, Internet, Communication, Social Media, etc. So these areas are going to witness historic progress and great activity. With a high population and also a populace of highly talented youth, India surely makes for a very important country for various giant companies and Facebook is one of the most widely used social media forums in the country. The planets also indicate a wider application and usage of the social media forums and the use of Facebook for business and as an effective marketing tool. PM Modi may come up with something new as well and you may be in for some surprises! Thus India is surely going to emerge as a top technological giant very soon and this meet may play a very instrumental role in the process. Ganesha wishes good luck to Narendra Modi and Mark Zuckerberg for the Meet.